<h2>Biodiversity loss in the oceans can be reversed through habitat restoration</h2><br /><p>Biodiversity loss is considered to be one of the most severe global environmental problems. In our oceans, this decline is heavily influenced by habitat degradation stemming from human activities.</p> <p>Without action, more than half of the world’s marine species could be on the brink of extinction by the year 2100, according to&nbsp;<a href="http://www.unesco.org/new/en/natural-sciences/ioc-oceans/focus-areas/rio-20-ocean/blueprint-for-the-future-we-want/marine-biodiversity/facts-and-figures-on-marine-biodiversity/" target="_blank" rel="noopener noreferrer">UNESCO</a>.&nbsp;</p> <p>Marine biodiversity loss hinders the ocean’s ability to provide food for our growing population, with an estimated <a href="https://www.worldwildlife.org/industries/sustainable-seafood" target="_blank" rel="noopener noreferrer">three billion</a> people dependent on fish as their primary source of dietary protein.</p> <p>We’re also economically dependent on healthy oceans. According to the <a href="http://wwf.panda.org/our_work/oceans/solutions/recognising_the_value_of_marine_ecosystem_services/" target="_blank" rel="noopener noreferrer">World Wide Fund for Nature</a>, the ocean provides the world with goods and services worth at least €2.2 trillion every year.&nbsp;</p> <p>Some effects of biodiversity loss are less tangible. Many of the chemicals used in medical drugs and industrial compounds today came from marine plants and animals. With less known about the oceans than the moon, potentially useful marine organisms could be wiped out or seriously depleted before they are even discovered.</p> <p>‘If we lose biodiversity, we lose the opportunity to discover these crucially important compounds,’ said Professor Roberto Danovaro, president of the <a href="https://www.researchgate.net/institution/Stazione_Zoologica_Anton_Dohrn" target="_blank" rel="noopener noreferrer">Stazione Zoologica Anton Dohrn in Naples, Italy.</a></p> <p><strong>Restoration</strong></p> <p>The good news is that in the oceans, <a href="https://www.unenvironment.org/ru/node/24520" target="_blank" rel="noopener noreferrer">ecosystem restoration</a> can cause species that disappeared from a particular region to return, says Prof. Danovaro.</p> <p>‘The concept of biodiversity loss is different in marine and in terrestrial ecosystems. Because of the dimension of connection between seas and oceans, it’s difficult to have a complete loss of biodiversity, an extinction,’ said Prof. Danovaro.</p> <p>‘But, at the regional and the local scale, we have a loss of biodiversity if there is a decrease of a species to nothing in a certain region.’</p> <p>Prof. Danovaro coordinates a project called <a href="https://cordis.europa.eu/project/rcn/203265/en" target="_blank" rel="noopener noreferrer">MERCES</a>, which is restoring habitats in biologically depleted regions of Europe by reintroducing key species, which are mainly plants and corals.</p> <p>If marine habitats can successfully be replenished with life, this means that ecosystems could recover from the damage caused by industrial development, from gas pipeline construction, for example, or mining activities.</p> <p><img class="@alignleft@" title="Gorgonians are being reintroduced in hard-bottom habitats in European seas. 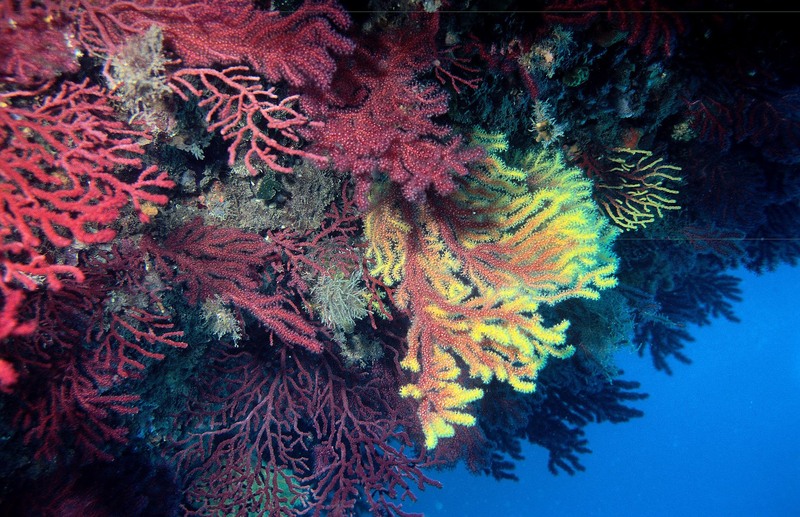 Image credit - Pxhere" src="https://horizon-media.s3-eu-west-1.amazonaws.com/s3fs-public/IMCEUpload/gorgonian.jpg" alt="Gorgonians are being reintroduced in hard-bottom habitats in European seas. Image credit - Pxhere" width="2048" height="1324" /></p> <p>‘This is an opportunity not to stop (building) infrastructure but to find a solution to encourage blue growth (economic growth in the marine sector) development along with biodiversity conservation and habitat conservation,’ Prof. Danovaro said.</p> <p>In the seagrass meadows of the Mediterranean, Baltic and North Atlantic the team is replanting seaweed species, in hard-bottom habitats they are reintroducing gorgonians (sea fans) and in deep sea areas, other corals. Several species of seaweed, called kelp, and brown algae encourage the return of sea urchins, crustaceans, gastropods, bivalves, starfish and their predators. Prof. Danovaro says that so far between 50% and 90% of animals have returned to these habitats, depending on the species reintroduced.</p> <p>The action taken by MERCES essentially speeds up how a natural ecosystem would recover in the absence of further impacts, according to Prof. Danovaro. ‘We are doing in a few years what can be done by nature in a 100 years or more,’ he said.</p> <p><strong>New species</strong></p> <p>Ecosystem threats also come from the introduction of new species – sometimes but not always precipitated by harmful human activities and warming oceans – that can take over habitats. Newcomers often have defence mechanisms or other characteristics that allow them to outdo native animals when it comes to securing food and other resources.</p> <p> <div class="quote-view quotesBlock quote_horizontal"> <div class="quotesTop"><img src="https://horizon-magazine.eu/sites/all/themes/horizon/images/quotes_top.png" alt="" title="" /></div> <p>‘We are doing in a few years what (ecological restoration) can be done by nature in a 100 years or more.’</p> <blockquote><p>Prof. Roberto Danovaro, president, Stazione Zoologica Anton Dohrn, Naples, Italy</p></blockquote> <div class="quotesBottom"><img src="https://horizon-magazine.eu/sites/all/themes/horizon/images/quotes_bottom.png" alt="" title="" /></div> </div> </p> <p>Scientists from a project called <a href="https://cordis.europa.eu/project/rcn/213002/en" target="_blank" rel="noopener noreferrer">EMERTOX</a> have found an increasing amount of toxins from tropical algae native to the Caribbean and the Indian and Pacific Oceans is winding up the Mediterranean and North Atlantic.</p> <p>Professor Vitor Vasconcelos, the project’s lead coordinator and biotechnology and ecotoxicology expert at the Interdisciplinary Centre of Marine and Environmental Research (CIIMAR) in Porto, Portugal, says that their increased presence is probably due to climate change, and possibly ballast water from ships.</p> <p>When ships dock or set sail, they usually either release water or take a certain volume of water into their ballast tank. The stored water ensures the ship’s stability at sea, but can contain small sea creatures which are then released at a different port and can become established in a new area. &nbsp;</p> <p>‘Many of our activities are stressing the ecosystems, such as aquaculture and shipping. (Shipping) takes in a lot of ballast water and brings organisms to our waters that are not supposed to be here,’ he said.</p> <p>The toxins that the algae produce are <a href="https://www.mdpi.com/2072-6651/11/1/58" target="_blank" rel="noopener noreferrer">poisonous to humans</a>. They can accumulate to deadly levels in fish and shellfish like mussels and sea snails, which are eaten in many European countries. 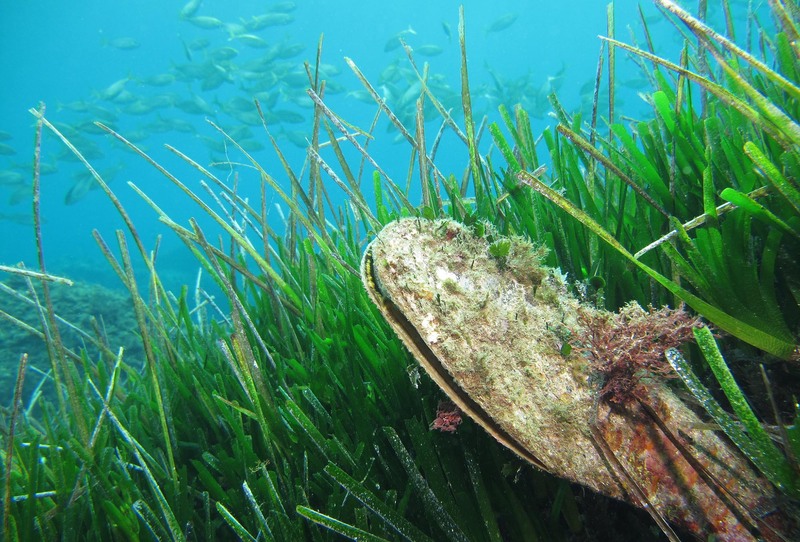 Severe human non-fatal intoxications, due to eating fish or shellfish contaminated with these invasive toxins, have been reported in Portugal, Spain, France and Italy in the past 14 years.</p> <p>They can also disrupt the delicate balance of ecosystems. Toxic substances can be added to the arsenal of defences that shellfish deploy, increasing their chances of defeating predators.</p> <p>‘We already have evidence that these emerging toxins have an impact on the marine ecosystems because they are absorbed by species that never had them before. The balance is affected because they have new defence systems,’ said Dr Marisa Silva, a researcher involved in the EMERTOX project.&nbsp;</p> <p><strong>Toxins</strong></p> <p>The EMERTOX project will put together a series of maps of current and predicted toxin presence so that European authorities are well-informed about the likelihood of future toxic algae scenarios before someone is poisoned.</p> <p><img class="@alignleft@" title="Dinoflagellate is found over many different oceans, but their DNA helps to determine where they are from. 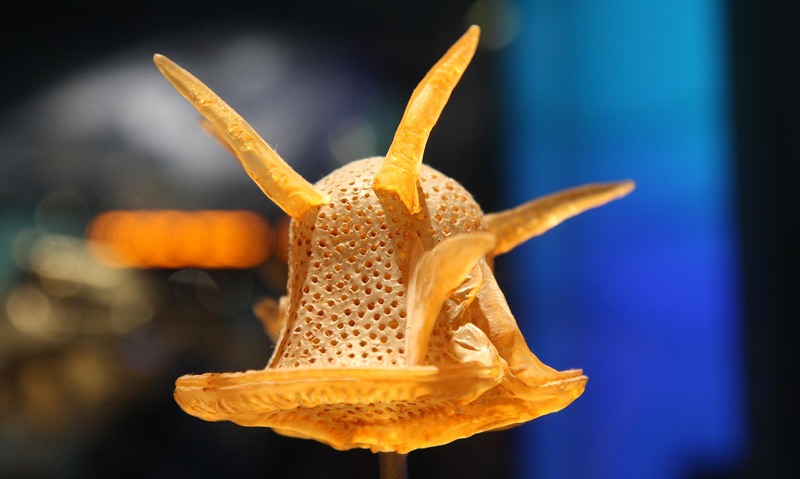 Image credit - Dinoflagellate Model at NMNH by Mr.TinDC is licensed under CC BY-ND 2.0" src="https://horizon-media.s3-eu-west-1.amazonaws.com/s3fs-public/IMCEUpload/dinoflagellate-model.jpg" alt="Dinoflagellate is found over many different oceans, but their DNA helps to determine where they are from. Image credit - Dinoflagellate Model at NMNH by Mr.TinDC is licensed under CC BY-ND 2.0" width="2000" height="1198" /></p> <p>To do this, they’ll map the presence of the marine toxins and the organisms that produce them, a type of phytoplankton known as a dinoflagellate.</p> <p>First, a photograph of the organism is taken so that the researchers can identify it by its size, colour and shape. Next, they extract its DNA using primers –&nbsp;tools that cut the DNA in specific places –&nbsp;and finally identify it by comparing the DNA fragments with others that are available in public databases.</p> <p>Examining the DNA in this way allows the team not only to identify the species but also to tell what region the microorganism calls home.</p> <p>‘DNA from populations of the same species but coming from different areas have slight differences. It’s like having an identity card,’ said Prof. Vasconcelos.</p> <p>‘For instance, the organisms from the Mediterranean have a different “fingerprint” compared to those that are coming from the Caribbean or the Pacific. By analysing the DNA we can understand these slight differences within the same species and by that we can understand the routes of dispersion of the species.’</p> <p>The future scenarios will be built based on the DNA analyses and temperature and other data collected at various sites around Europe where the tropical toxins are already present.</p> <p>‘We want to develop models that will help us to predict what will the future occurrence of (toxin-producing) organisms in this area be if we increase the temperature by 5 or 10°C,’ said Prof. Vasconcelos.</p> <p><em>The research in this article was funded by the EU. If you liked this article, please consider sharing it on social media.</em></p> <p> <div class="moreInfoBlock"> <h3>How invasive species work: The American comb jellyfish</h3> <p>The American comb jellyfish or sea walnut called <em>Mnemiopsis leidyi</em>&nbsp;arrived in the Black Sea in the 1980s. It has a special ability to generate a current that continuously pulls food towards it, while being virtually undetectable to its prey. <em>Mnemiopsis </em>eats fish eggs and it was so successful that it became a major problem for fishermen. In the end, <em>Mnemiopsis</em>’ reign over the Black Sea ended when another invasive species, a jellyfish called <em>Beroe ovata</em>, was introduced accidentally to the region around 1997 and started to hunt <em>Mnemiopsis</em>.</p> </div> </p> <br /> <img src=”http://www.google-analytics.com/collect?v=1&tid=UA-40077089-1&cid=biodiversity-loss-in-the-oceans-can-be-reversed-through-habitat-restoration&t=event&ec=republish&ea=read&el=biodiversity-loss-in-the-oceans-can-be-reversed-through-habitat-restoration&cs=republish&cm=republish&cn=republish&cm1=1" /> This post <a href="https://horizon-magazine.eu/article/biodiversity-loss-oceans-can-be-reversed-through-habitat-restoration.html">Biodiversity loss in the oceans can be reversed through habitat restoration</a> was originally published on <a href="https://horizon-magazine.eu/">Horizon: the EU Research &amp; Innovation magazine | European Commission</a>. Without action, more than half of the world’s marine species could be on the brink of extinction by the year 2100, according to UNESCO.